Among other things, a publisher of books about folk song and folk dance. American Folk Dances. Rohrbough, Lynn. Delaware, Ohio: Cooperative Recreation Service, 1939. English Country Dances of Today. Country Dance and Song Society of America. 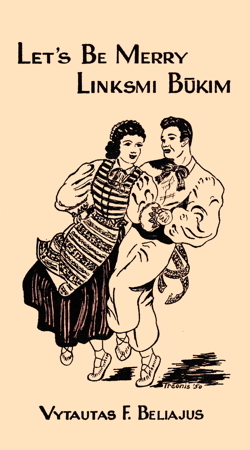 Delaware, Ohio: Cooperative Recreation Service, 1948. instructions for 20 popular dances. Favorite Square Dances. Rohrbough, Lynn. Delaware, Ohio: Cooperative Recreation Service, 1941. Handy II, Kit T, Kit R, Kit P. Rohrbough, Lynn. Delaware, Ohio: Cooperative Recreation Service, various dates. Handy Folk Dance Book. Rohrbough, Lynn. Delaware, Ohio: Cooperative Recreation Service, 1940. Handy Play Party Book. Rohrbough, Lynn. Delaware, Ohio: Cooperative Recreation Service, 1940. Handy Square Dance Book. Rohrbough, Lynn. Delaware, Ohio: Cooperative Recreation Service, 1955. Let's Be Merry, Linksmi Beukim. Beliajus, Vytautas Finadar. Delaware, Ohio: Cooperative Recreation Service, 1951, 38p. (OCLC 17414841). Merrily dance. Beliajus, Vytautas Finadar. Delaware, Ohio: Cooperative Recreation Service, 1947. (have). Merrily dance, 2d ed. rev. Beliajus, Vytautas Finadar. Delaware, Ohio: Cooperative Recreation Service, 1955, 24p. (OCLC 9276164 & 2278186). Play Party Games. Rohrbough, Lynn. Delaware, Ohio: Cooperative Recreation Service, 1932. Quadrilles. Rohrbough, Lynn. Delaware, Ohio: Cooperative Recreation Service, 1941. Southern Singing Games. Rohrbough, Lynn. Delaware, Ohio: Cooperative Recreation Service, 1942. Square Dances of the Great Smoky Mountains. Rohrbough, Lynn. Delaware, Ohio: Cooperative Recreation Service, 1939. Treasures From Abroad. Rohrbough, Lynn. Delaware, Ohio: Cooperative Recreation Service, n.d.
Western Play Party Games. Rohrbough, Lynn. Delaware, Ohio: Cooperative Recreation Service, 1942.